Kerry Katona's eldest child is set to leave home to further her education, and the mother is devastated at the thought of her daughter's departure. 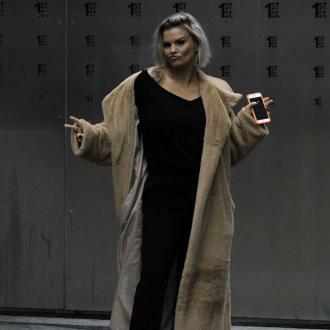 Kerry Katona will be ''heartbroken'' when her oldest daughter leaves home. The Atomic Kitten singer's eldest child, 15-year-old Molly, is planning to move to Ireland in September - where she will live with her grandparents, her dad Brian McFadden's parents - in order to pursue further education as part of her bid to become a doctor, and though Kerry thinks she's making the right choice, she isn't looking forward to saying goodbye to her. She told OK! magazine: ''Molly wants to be a surgeon. She wants to get really good grades in her GCSEs so she's going to Ireland to do a transition year. ''I'll be absolutely heartbroken [when she goes]. I have had a few down days about it already. But the 36-year-old star isn't convinced Molly will stay in Ireland for the whole year. ''I do think, a few months down the line, she might want to come home because I know my Molly. She will be massively homesick. One person who isn't sad Molly is leaving is her 14-year-old sister Lilly. Asked if Lilly will miss her older sister, Kerry - who also has Heidi, 10, and Max, nine, from her marriage to Mark Croft, and three-year-old Dylan-Jorge, aka DJ, with spouse George Kay - said: ''Not in the slightest, they are two different characters. ''She thinks it's hilarious that she'll be in college before Molly. She leaves school next year.